be conducted on your premises by contractual engagement. Our rates are set as fixed for a two-day course, regardless of the number of attendees, we encourage or clients to maximize the value of their experience, by filling as many seats as possible. We will work with you on identifying and fine-tuning the setting for these sessions. FACILICOM also offers seminars at convenient facilities in world famous Jackson Hole, Wyoming. 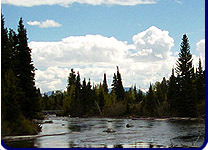 For those with the gift of time, a stimulating academic environment, away from commotion, combined with occasion and opportunity for outdoor activities and mediation, all with the backdrop of Wyoming's mystical Grand Tetons, serves to enhance one's learning experience, and will bring memories that will last a lifetime. Finally, FACILICOM is currently cobbling together a consortium of respected Telecommunications and Building Industry leaders as keynotes for an annual executive retreat at the shores of Jackson Lake, a setting at the base of Mt. Moran, favored by world leaders for summits and conferences. Jackson Hole has convenient jet service from Salt Lake City, Dallas, Chicago, Minneapolis, and Denver via Delta, American, Northwest and United Airlines, and is serviced by Delta's connection carrier, with many flights daily from Salt Lake City. Jackson Hole is a remote destination that is all but isolated. Please view a listing of our offerings.